What Indie-pubbed books are you reading? 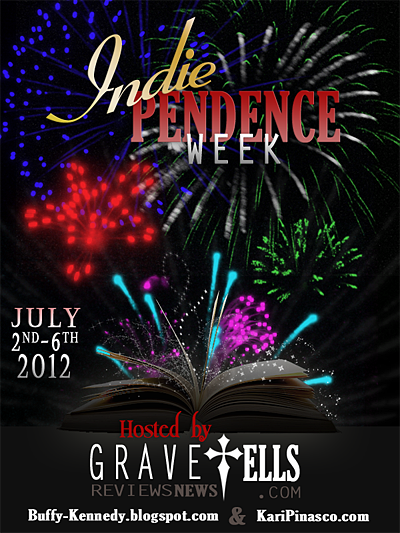 Day TWO of the Indie-Pendence Week! And I’m curious, what “indie” books are you reading? Or have read? Another question, how do you think they compare to the “traditionally” published books? I’ve never really been one for labels, period. If the book is good, it’s good, I couldn’t care less who published it! For me, it’s all about the story. Mostly the characters. If I’m touched by the characters, I’ll read past most any typo I might find in a trad or indie book. 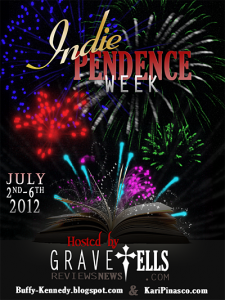 This entry was posted in Writing and tagged Buy Indie, Giveaway, GraveTells, Indie, Indie-Pendence Week, Lynn Rush, New Adult by Lynn Rush. Bookmark the permalink. The quality of both indie and traditionally pubbed works varies. I’ve seen fab indies, crap indies, as well as fab trad’s and crap trad’s. A lot has to do with personal preference too. As an Indie author myself, I find that 98% of what I read is other Indie books. Some of my favorites are Tiffany King, M. Leighton, Liz Reinhardt, Nichole Chase, CA Kunz, Abbi Glines, and Raine Thomas. I’m reading Karina Halle’s fifth Experiment in Terror book called On Demons Wings. Some of the indie books I’ve read are just meh, but this one is really good! I love reading Indie authors work! Yes, there are the occasional issues where the writing isn’t perfect, but I’ve found so many great unknown authors just by giving their work a chance. My current fave Indie (and self-published authors) include Tarryn Fisher (The Opportunist), Ella James (Stained Series) and Jennifer Armentrout (both the Lux and Covenant Series). Thinking your work is along the lines of Jennifer Armentrout’s…yes? If the story’s good and the characters grab me then I don’t care if it’s a trade or indie author. The story and characters are what the books are about, not who published them. Thanks for the giveaway! Right on!!! Thanks, for stopping by, Susan. So far most of the independent and self-published books I’ve read have been just as good as anything put out by a big press. Sometimes much, much better!